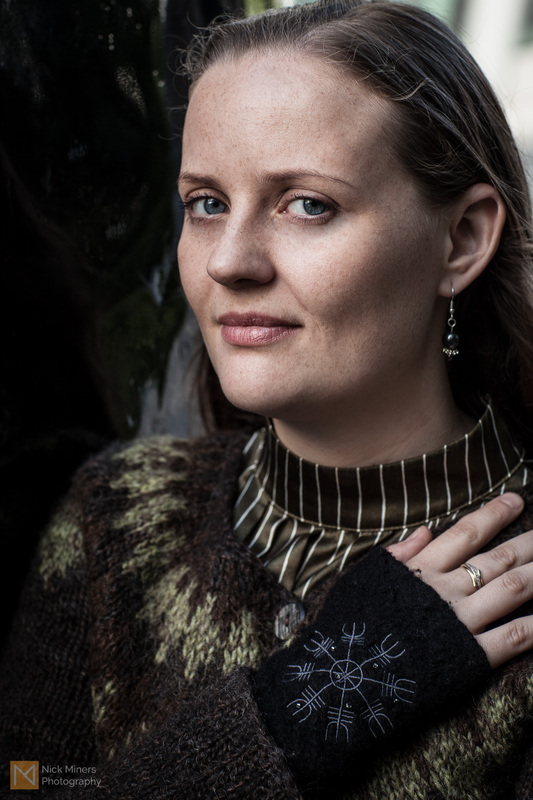 Guðný is a cellist, and moved to London in 2011 to study for a Masters degree at the Royal Academy of Music. When she is practising, she needs to keep her hands warm, especially in the winter as she finds houses in the UK aren’t as good at keeping the cold out as Icelandic houses. Her wrist warmers were hand made by a friend of her mother’s, and feature the Icelandic sigil called Ægishjálmur, ‘Helm of awe’, which is for protection.